1. Notice anything new, clean, cute, and happy around here? I have been in a bit of a strange place with this little blog. I needed something to change. After my repeated (and quite dramatic) threats to burn the whole thing down, Katy kindly came out of blog design retirement to work her magic. While it can't fold my laundry, or give me any more room in the narrowing margins of my life, it sure does make me smile. I still have some work to do on my end, getting all the tutorials & recipes in one place, etc.... I sort of can't wait. 2. Photos of St. Patrick's Day food aren't that pretty. At all. Sorry ancestors. My instagram feed was sort of creepy last night. 3. My thumb. The baby beast chipped my bone. It hurts every single second of every single day. I get to see an orthopedist. Yippeeee. In the most sarcastic tone imaginable. On the bright side- I don't have IBS. But I have a case of being a giant dork when I am bored waiting in the exam room with nothing to read. 4. To continue in my injury saga, I stole my kid's new skateboard, and rode it around the kitchen cleaning, doing dishes, and basically being stupid. Because if they can't ride a skateboard in the house, I can, right? Let me tell you, it was SO FUN. Until I kicked it out from under me and landed on my elbow. Hard. Like the kind of hurt that you lay on the ground and think that you may never ever get up again. That kind. So I have a useless left hand, and a tweaked elbow. Don't try this at home. Seriously. 6. I absolutely dread taking off my eye makeup each night. DREAD. It's horrible. My eyes are crazy sensitive. I'd rather change bunk bed sheets. And I hate changing bunk bed sheets. Then only thing that makes it semi-tolerable is this makeup remover from Kiehl's. It is worth every single penny. Best of all it keeps me from having crazy red raccoon eyes. 7. The baby boy isn't walking yet. HE IS RUNNING. All over the place. I need a skateboard to keep up with him. Boys are crazzzzzzzzzzzzzzzy. 8. These enchiladas are on the menu tonight, but with green sauce. If it's a good night, only two of my kids will cry. I have a feeling it will be three. DRAMA. 9. 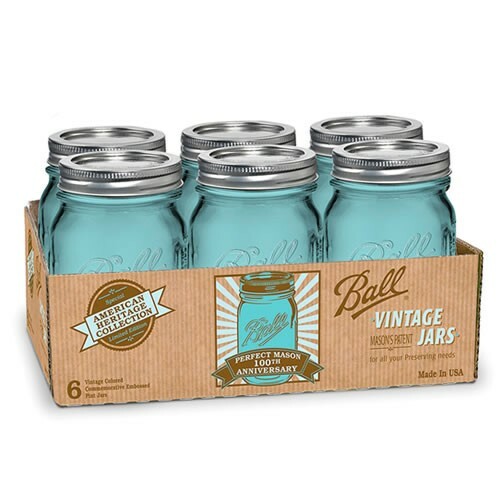 Ball is releasing anniversary versions of their gorgeous BLUE MASON JARS!!!! When I found out, I got all giddy and shaky. Then I got sad because they are a million dollars. BUT THEY ARE BLUE!!!!! Sigh. 10. We were given the Awkward Family Photos board game for Christmas and just played it for the first time last night. So funny. SO AWKWARD. The kind of night that your stomach hurts from laughing. That or too many cupcakes. Or maybe both. 11. Remember that one time when I made signs? Well, the saw is getting dusted off again for a batch of Days Until signs. It will be the one time that I make them until the Fall. 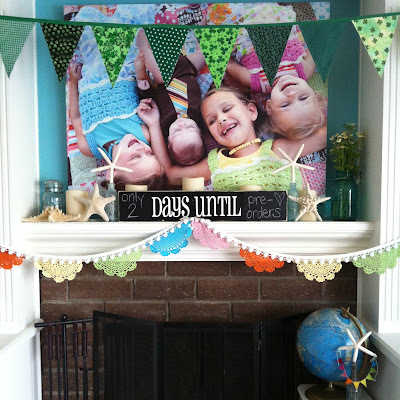 Perfect for counting down the days until summer. Maybe until Fast & Furious 6 or Wolverine (67 and 130 days respectively). A limited amount of pre-orders open on Wednesday and they will ship by April 12th. Keep enjoying the everyday miracles! oh look at that katygirl working her magic. i seriously have been here 200x this weekend just to see the happy space you have here on the internet. i like it here. also, at the end of the day, YOU ARE THE MOM WHO RIDES A SKATEBOARD IN THE HOUSE. elbow injury or not. you are the coolest. how many days until i see you again? i need to get me one of those signs. Yay, that you don't have IBS. But not good that youre in pain! Skateboards are fun, and we don't own even one! Time to change that! And those blue Ball jars. To die for! Cute post. I haven't popped in for ages! Love your new look. It's fresh and gorgeous! 2. need those mason jars. 3. if I tried to skateboard i would probably die. 5. boys are beasts. i'd like to give a big AMEN to that statement. so far mine hasn't chipped any of my bones but give him time & im sure it will happen. Best makeup remover ever? Well, crying of course. Nothing gets mascara off faster than crying, but who wants to cry every night. Get some good old fashioned saline solution - for eyes. Squirt some on, and wipe off. All the make up comes off really fast. It's also great for when eyes get itchy and/or dry. Thank you for not burning the whole thing down! I heart it when you post! We LOVE our Days Until sign! You can blame jasmine tea addiction on Shauna...she was my first dealer. also, my mom is cool like you and went to show my brother how to ride his skateboard, ate it, and broke her elbow! Coconut oil for eye make up... or for a face cleanser in general... love it! 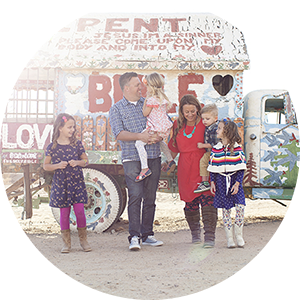 Love your new blog look: so pretty and clean and fresh. And the tip about coconut oil^^: second time I've read that this week. PLEASE DO NOT SHUT DOWN. How else will I know what delicious things to eat??????????? Also I think we all want to know how the exploits of Shane turn out, because as a boy mom, I think I know. Oooo, love the new look! Very nice! Love the new look! I have called 2 local hardware stores in my town and they are getting the blue jars in next week and they are $12.99 - can't wait! I have loved your sign forever - I may have to break down and finally order one :) Happy Tuesday! I feel like I sorta failed you by not putting a unicorn on your blog somewhere. love the new look. soooo pretty. must have the jars. found them a few places online but shipping almost doubles the price ... wondering if local stores will be carrying them soon. A girl can dream. oh, and yes, on the plain coconut oil for eye-makeup remover. I have beyond-sensitive skin and eyes and coconut oil is a miracle worker. i totally splurged and ordered the blue jars - I have been hoping they would make them again!! yay! you are beautiful - truly! 1. the redesign is so cute! 2. those jars are so swoony! 3. i have an amazing way to remove eye makeup! i use the oil cleansing method to wash my face.2/3 part olive oil, 1/3 part castor oil/1/3 part jojoba oil and i don't have to get the makeup off anymore because the oil removes it gently!!! #winning! oh yah! i want a sign! I hate changing sheets on any bed! Have you ever tried Neutrogena oil-free eye make-up remover or the Target knock-off of it? You probably have, but it is cheaper and has made my 16 year old's life a lot easier for getting off her thick black eyeliner. I've used it too and it hasn't affected my eyes at all. Just thought I'd share. Love. love, love your products! Sorry I missed the sign. That would have been great fun at our house. I wanted to tell you that the blue mason jars have come down in price (at least from the first time I checked). They are now ~$13 on Amazon! I ordered mine this week, thank you for posting about them!